During the winter months I prepare a large amount of soups and stews. However, as the weather turns warmer and my kitchen turns into a sauna, my motivation to prepare hot soups dwindles. I still love preparing soups even when the temperature spikes into the 90's, so I make cold soups during the summer. The August edition of Parents magazine had a recipe for Easy Gazpacho, which looked cool and delicious. This recipe contains 10 ingredients and takes very little to prepare. The majority of the prep work is done in the food processor, with little chopping required. 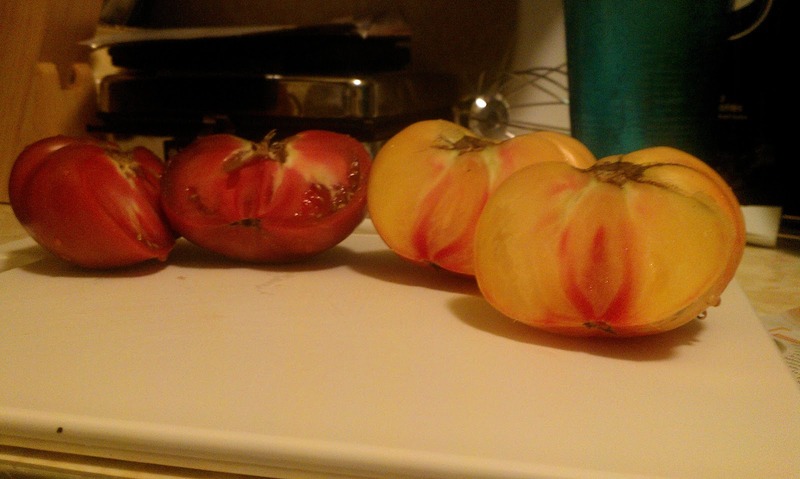 I lucked out that I had heirloom tomatoes available to use. 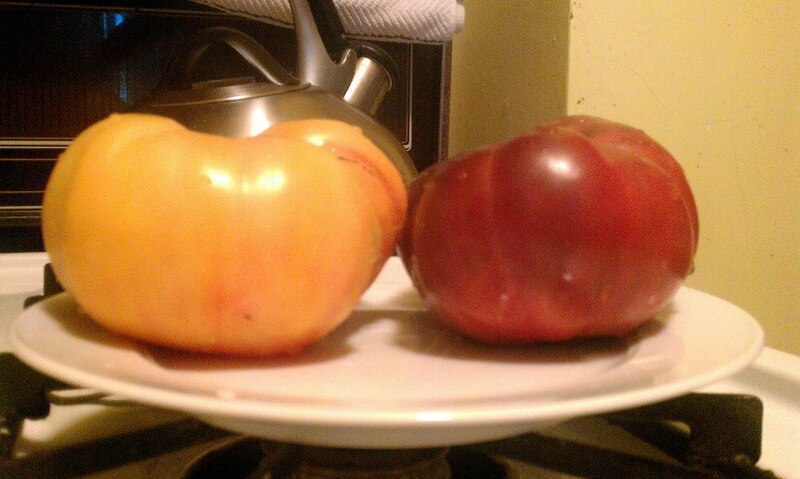 The two varities of heirlooms I used were Mr. Stripey and Cherokee Purple. The recipe calls for 4 cups of cored and chopped tomatoes and the two heirlooms were exactly four cups. I followed everything as the recipe stated with no other modifications. I let the soup cool for about an hour before serving. This recipe was very easy to prepare and was a great way to utilize heirloom tomatoes. As stated the recipe was good, but needed an additional flavor. Adding cayenne pepper or crushed red pepper would add to the depth of the tomatoes and help bring out the taste of the soup overall. My two boys were unsure of the idea of cold soup, but my husband and I enjoyed it. The only downside my husband found was with the texture of the chopped tomatoes. With some additional seasoning this soup would be a great cold summer soup, and perfect for fresh garden tomatoes. I never thought about making Gazpacho before. I think I would like it. Not sure about the boys though. Thanks for the follow! I ma following back at GFC and NB.